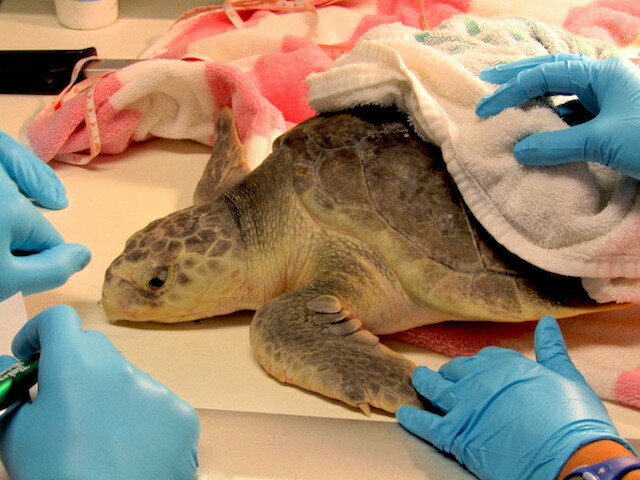 A female Kemp's Ridley was admitted to the hospital with two fishing hooks it had ingested. 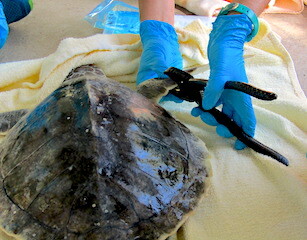 The veterinarians were able to surgically remove the hooks using endoscope equipment. Besides the two hooks, the turtle is in good health. She will receive supportive care until she is ready to be released. The patient is doing well. She has been tagged with a flipper tag and a passive integrated transponder (PIT) tag. The patient has been cleared for release (date pending). CROW only tags animals prior to release if it is required by state regulations or specifically requested by FWC. 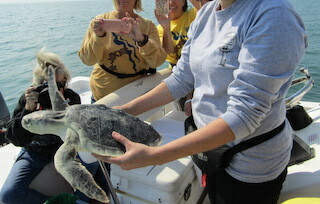 In this case, it is a state regulation that an untagged sea turtle must be tagged before being released.